I try my best to take advantage of long weekends. 3 days off? 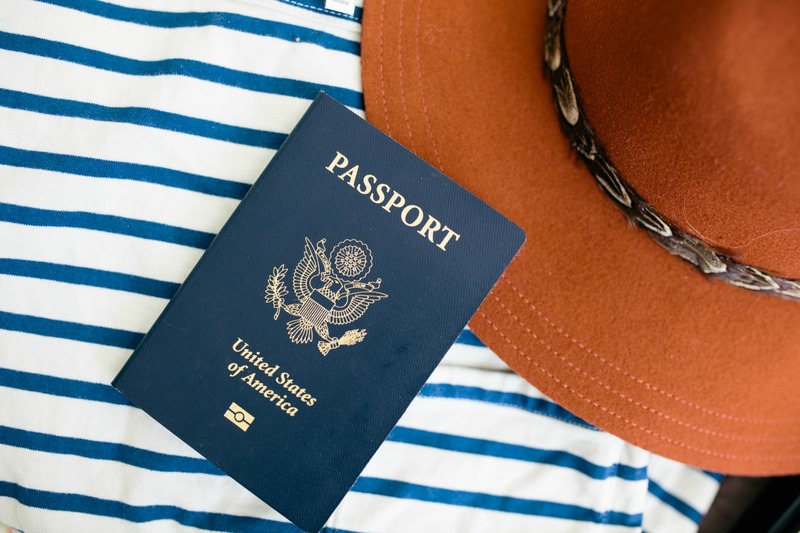 Time to travel! 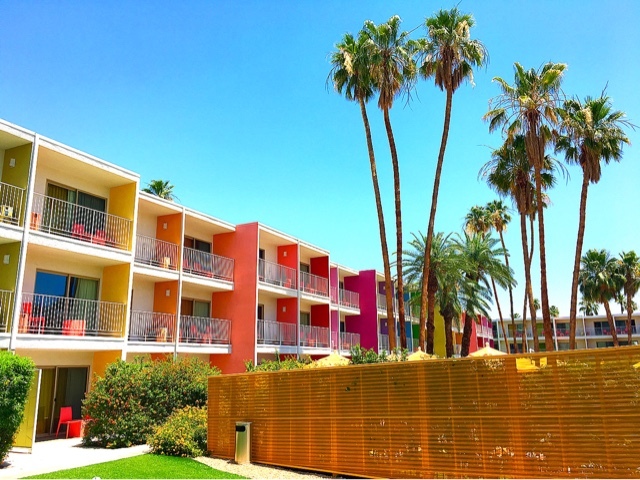 Thanks to Travelzoo, I found a deal I couldn't resist at the hotel I've been lusting over - The Saguaro in Palm Springs. Not only that, I've lived in California for almost 3 years now and never been to Palm Springs! I took it as fate that they would have such a great deal for Memorial Day Weekend and quickly booked it. 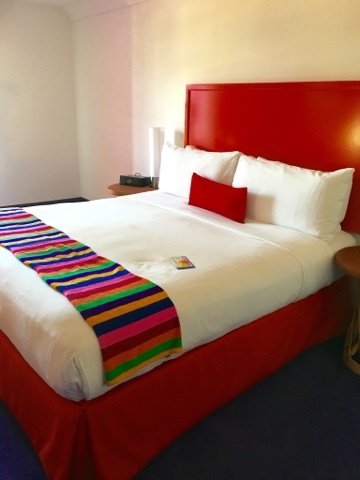 Saguaro Hotel - First things first. 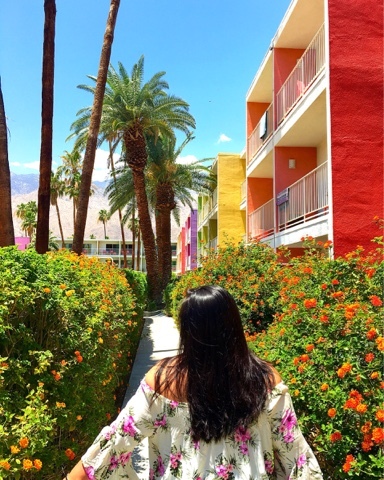 One of the most Instagrammed hotels, the Saguaro Palm Springs. 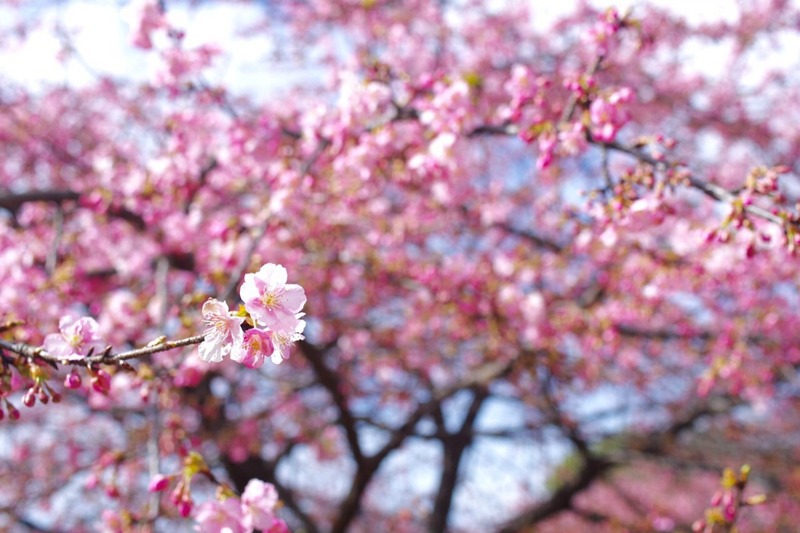 Trust me when I say it's just as bright and colorful as it is in photos. 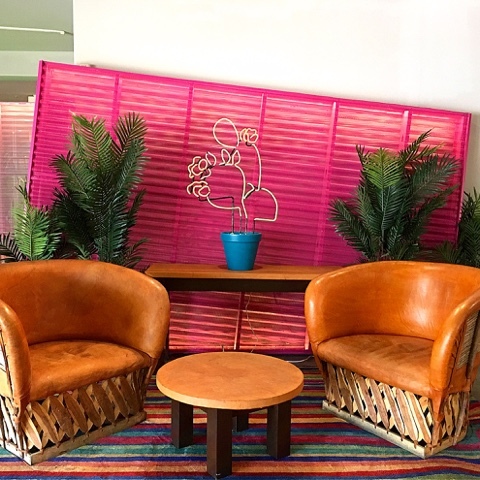 Your door color matches the furniture color in the room, how cute is that? I ended up with a red room which was pretty intense. I would have much preferred...any other color, ha! The public areas, restaurants, lobby, room decorations, everything was charming. For most of the weekend I was there, the pool was packed. Absolutely no chairs available or space in the pool. Thankfully my friends have a condo in the area and invited me to their very empty pool - big thanks to Andy and Mark! Overall, I adored the hotel. Their restaurant, El Jefe was also a great spot considering it's a hotel restaurant. 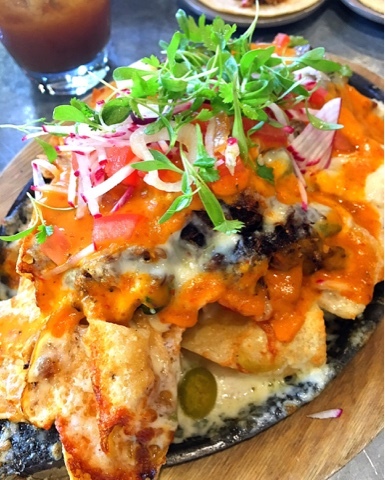 Their margaritas are strong and their nachos was to die for - I think I ordered one per day I was there - #noshame. 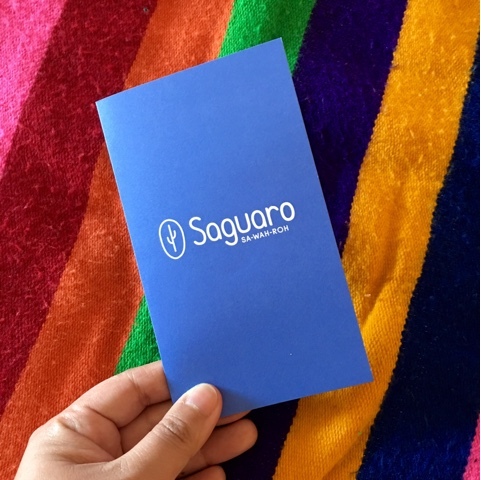 I highly recommend booking a pool-view room as it enhances the colorful Saguaro experience. The pool and courtyard area is perfect for picnics, playing in the bachi ball court and of course, endless opportunities for photo-shoots! 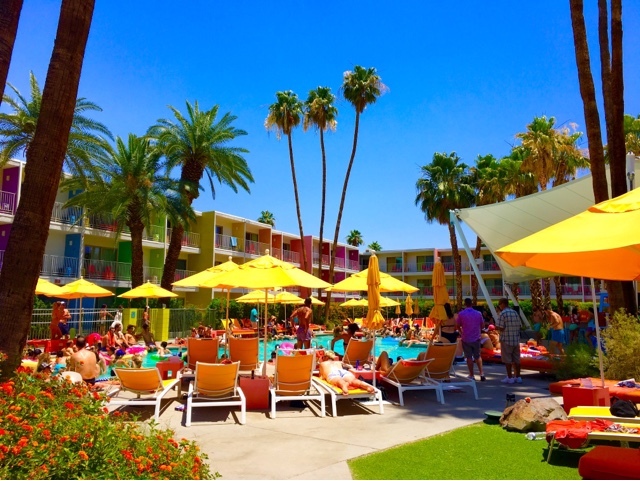 If you've wanted to stay here or just looking for hotels in Palm Springs, look no further. Highly recommend! 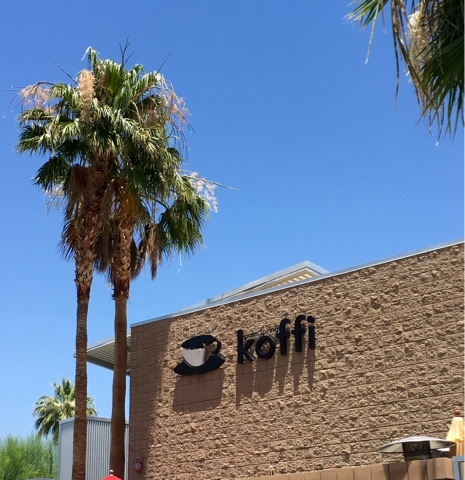 Koffi - Koffi is indeed a coffee shop, a local one at that with only 3 locations through Rancho Mirage and Palm Springs. I'm hoping they open more stores through Southern California. Their coffee is one of the best I've ever had! I'm about to tell you I'm a milkshake and brunch connoisseur in the next few paragraphs but as a Seattle girl, I like to think I know coffee fairly well. Their reasonably priced and minimalist designed brand is definitely my new favorite. 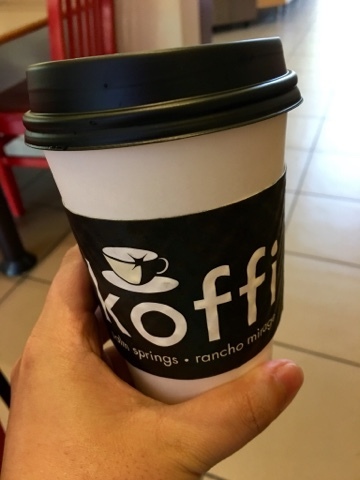 I can't wait to go back and get Koffi every moment I can! The Great Shakes - First of all, how clever is this name? I discovered their milkshakes, surprise, through Instagram. As a self-proclaimed milkshake connoisseur, I had to give it a try. Since Palm Springs was 100 degrees while I was there, a milkshake sounded perfect anyway. 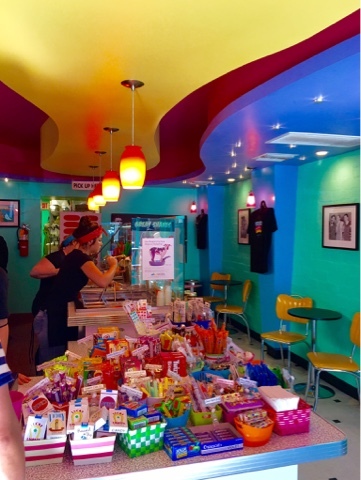 Their small shop is decorated in the classic Palm Springs pastel colors and decorations. 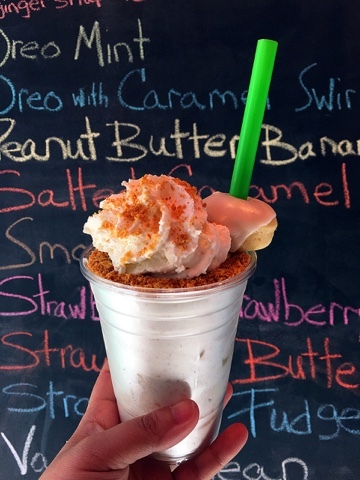 Their entire blackboard bursting with different flavors made it difficult to make a decision! 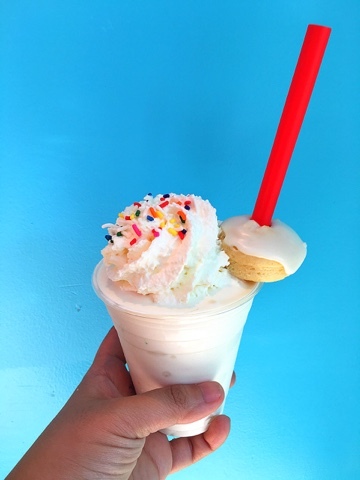 We got the Key Lime Pie and Cake Shake. Can we take a moment to appreciate the mini donut through the straw? It was so good I could have eaten a dozen of those mini donuts. A friendly tip: if you check in through Yelp, you get a free upgrade! Cheeky's - Not only am I a self-proclaimed milkshake connoisseur, I'm also a brunch connoisseur :) After several recommendations, I ended up at Cheeky's. After a 45 minute wait in the scorching heat, I sure was excited to order a watermelon agua fresca! 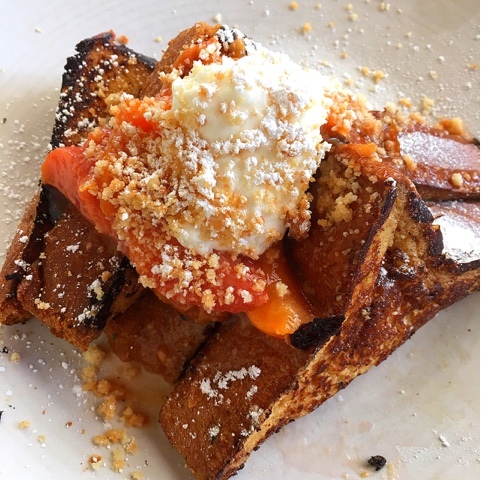 We started with the glazed donut with strawberry-rhubarb filling followed by the Peach Pie Filled French Toast and the Custard Egg and Bacon dish. The donut wasn't worth $4. It was a normal donut you can get from a gas station filled with very sour jam - I would skip it next time. The French Toast, Egg dish and my agua fresca were delicious, though! I would suggest going later like we did around 1PM, so the wait is "shorter" (45 minutes). I hear it can be up to a 2 hour wait during busy times! 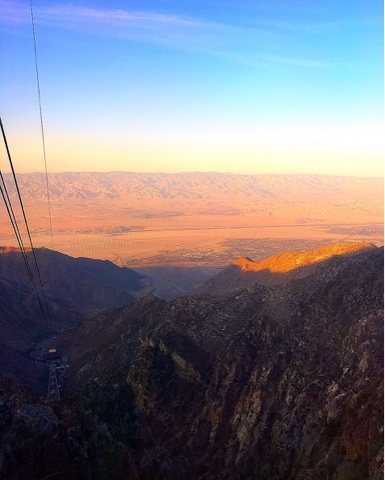 Aerial Tram & San Jacinto Mountain - One of the most popular attractions in Palm Springs is the Aerial Tram. I wasn't planning on riding it but I'm so glad I did! 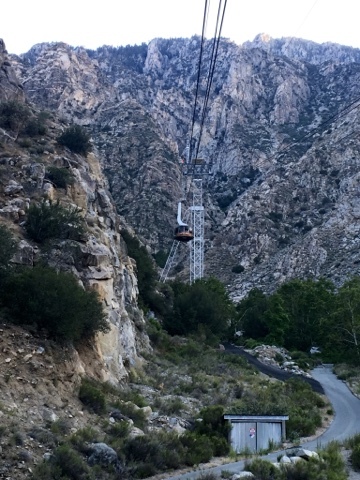 The Aerial Tram takes you from 2,000 ft to 8,000 ft within a few minutes on a tram for $25 per person. The ride up is stunning and a little scary! 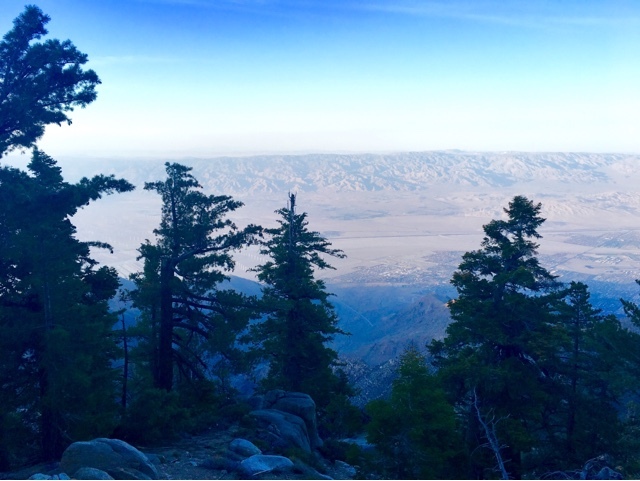 Once at the top, you have the option to start hiking, check out the viewpoints, have picnics or eat at the restaurant. I wasn't prepared to hike so we ended up walking around the immediate vicinity, ate dinner with a view and took photos. The temperature difference was unbelievable; it was 100 degrees at the bottom and only 55 at the top! Camping spots are available and of course a few hiking routes. During the winter, you can cross-country ski as it snows quite a bit up there. That Pink Door - Bonus spot! 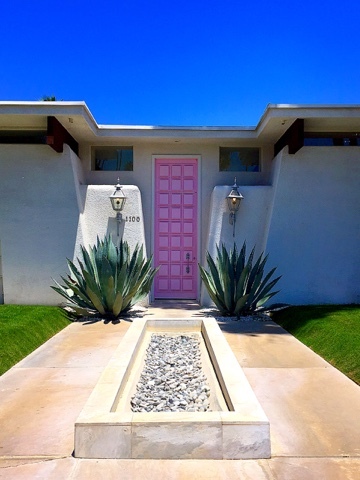 The residents of this perfectly Palm Springs home has their own Instagram account, @ThatPinkDoor and hashtag #ThatPinkDoor! I love that they own the fact that their great taste in doors has made their home Insta-Famous. To be honest, I felt a little bit guilty and invasive driving up to someone's home and taking a photo! That being said, I'm pretty excited about how the photo turned out. Cuteness overload! That's about it! 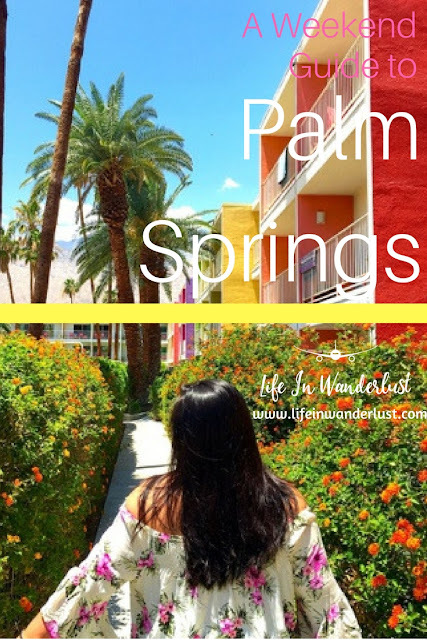 I had so much fun spending a few days in Palm Springs! It's a lot smaller than I expected but that makes it easy to get around, which I appreciated. 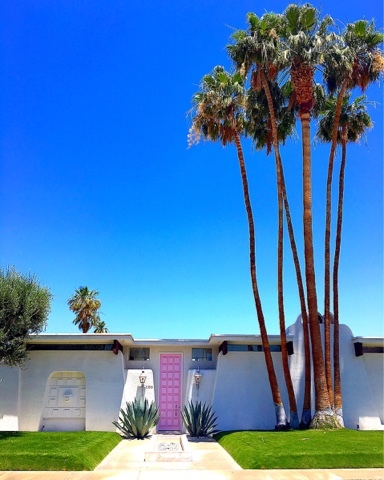 The architecture in Palm Springs is what impressed me the most. If you end up visiting, take some time driving through residential areas - it's like driving through an architectural museum! Can't wait to go back soon! For more fun places in and pictures of my time in Palm Springs, follow me on Instagram. This is what I call a perfect getaway! Love Palm Springs. 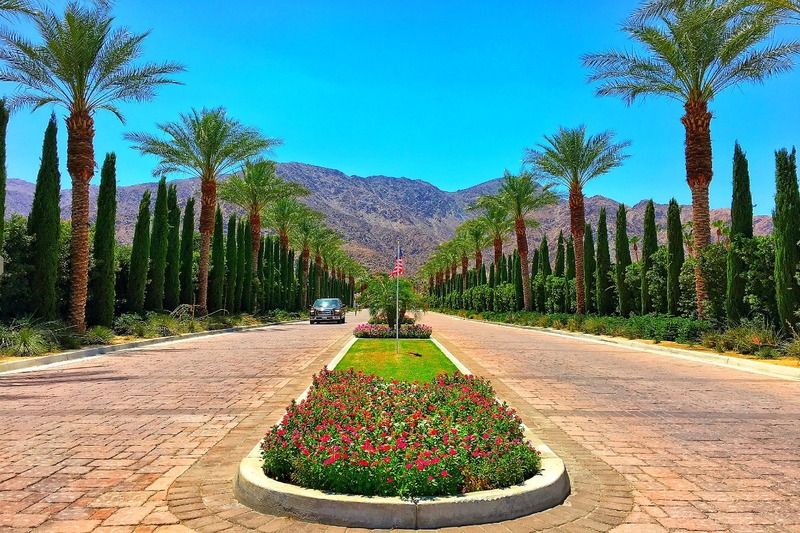 Palm Springs looks absolutely gorgeous! OK, I probably would have taken the picture of the pink door too. Why not?